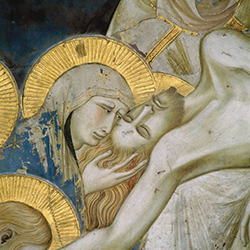 Dark, sorrowful and passionate music from the masters of renaissance polyphony. Pro Victoria was formed in 2011 by Duncan Saunderson initially to perform larger scale choral works with the ensemble Liedertafel. It has become a choir of around 20 voices. There is no regular rehearsal, just about 4 agreed rehearsals before a concert. The choir has performed Tallis's Missa Puer Natus Est and Videte Miraculum, Palestrina's 8 part Missa Hodie Christus Natus Est and Missa Papae Marcelli and Victoria's 8 part Salve Regina. It premiered "When Music Sounds" by Edward Higginbottom, written for Duncan in 2016. Future plans include Morales's Missa Mille Regretz. Victoria's Missa Pro Victoria, Byrd's Great Service and the Requiems of Victoria and Cardoso. We would be delighted to hear from potential singers although Pro Victoria generally only uses professional tenors. The choir would be of particular interest to singers of a semi professional standard who have chosen to pursue a more sensible career! Duncan graduated from the Guildhall School of Music and Drama as a countertenor in 1985. Since then he has sung under, and learnt from, some of the finest choral conductors in the world. In 1990, Duncan was appointed Countertenor Lay Clerk in the Choir of New College, Oxford, before retraining as a bass. For almost twenty-five years he sang six evenings a week during term under Professor Edward Higginbottom, Oxford University's first Professor of Choral Music and internationally renowned trainer of boys' voices. With this choir he recorded more than fifty discs, including Best Selling Classical disc and Best Early Music disc (International Gramophone Awards 1998/2008), and toured the USA, Japan, Australia and most of Europe. Duncan's own ensemble, Liedertafel, has given regular and critically acclaimed concerts with the world famous countertenor James Bowman and the author/reader Colin Dexter, creator of Inspector Morse, in Oxford, Cambridge and London. Duncan's musical experience has been rich and diverse. He has recorded the famous Gibbons countertenor verse anthem "This is the record of John" for the choirs of St. John's, Oxford and St. Bride's, Fleet Street, arranged Cuban jazz for voices in Spain, provided music for a Saracens rugby match interval, sung Beatles arrangements in the English Music Festival, Palestrina in The Sistine Chapel, and Coronation Anthems to Queen Elizabeth II. He has sung the role of Pilate with the Hilliard Ensemble in Bach's St. John Passion, "Spem in Allium" with The Tallis Scholars and The Sixteen, Handel with The King's Consort, performed to the Pope and the Archbishop of Canterbury, sung on film soundtracks, and played the crumhorn in the Tower of London and to the Crown Prince of Yugoslavia in Belgrade. Conducting has taken him to Italy, France, Spain, Serbia and Romania where in Transylvania his arrangement of Bartók's "Evening in Transylvania" for Count Kalnoky received a standing ovation from the Székely community. With Summertown Choral Society he has worked with Instruments of Time and Truth, Dame Emma Kirkby and James Gilchrist and has commissioned new music from Grayston Ives, Philip Moore and Andrew Gant. Since 2014 Duncan has conducted the Nicaraguan Misa Campesina or 'Peasant Mass' each year in Oxford for the Oxford/Le n (Nicaragua) town twinning association.